While we never considered the Galaxy Rugby LTE a flagship phone by any stretch of the imagination, Samsung has continued to show its commitment to keeping as many phones as possible up to date with the latest (or close to) version of Android. 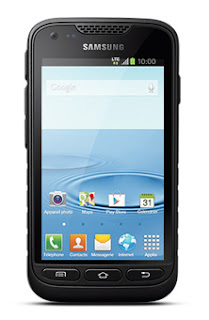 Today users of the Galaxy Rugby LTE on both TELUS and Bell are reporting that that have started receiving a roll out of Android 4.1 Jelly Bean to their device. We're glad to see that even as an offshoot "niche" device, it's being upgraded.